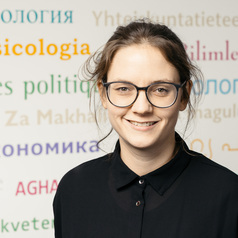 Lara Minkus is a PhD Fellow at the Bremen International Graduate School of Social Sciences and a research fellow at the SOCIUM Research Center on Inequality and Social Policy (lminkus@uni-bremen.de). She holds a B.A. in Sociology from the University of Mannheim and an M.A. in Sociological and Economic Studies from the University of Hamburg. Her research interests include public opinion, political sociology, social inequality, and gender.